Safe moves and transfers, with physiotherapist Ellen van Dijken. Caring for others comes with its share of hard work. This can involve physical work like transferring, pulling, pushing wheelchairs, carrying, and lifting. If not done properly, there can be risks for those being moved and their supporters. Injuries can be sustained easily. Some happen suddenly, like a fall, while others, like strains, can develop gradually. It is important we are aware of our actions and how we can do things safely to protect ourselves and those we are supporting. Wear the right clothes and footwear, only do one thing at a time, and be prepared for the task: have everything ready to go! Before you move someone or something, there are four components to bear in mind: you, the person or object you are moving, the task you are performing, and your surroundings. Once you have a good grasp of these you will be able to stay safe in many different situations and environments. We are all different and have unique strengths and weaknesses. It is important for you to be aware of your own capabilities and limitations. For instance, if you have severe osteoarthritis in one of your hips, it will be difficult to push a wheelchair with a heavy person in it. When planning a task, ask yourself: am I trained to do this; am I physically able to do this; how am I feeling (tired, stressed, fit); do I need to do this task, or can I achieve the same result in another way? You can work on changing your abilities by asking for training from health professionals (occupational therapists and physiotherapists can give you manual handling training), taking up strength- building exercise such as Tai Chi or Pilates, or improving sleep patterns so you have more energy during the day. When helping someone to transfer or move to another position, involve them! Often we try to do things quickly, forgetting that the other person might be able to help. It’s sensible and respectful to do it together. When planning a task, consider whether the other person is able to help; understands what needs to happen; their age, and whether he/she is at risk of falling; the person’s size or weight; and any other factors you think might affect the risk. What needs to be done? Are we rolling someone in bed, helping someone to stand up from a chair, or taking someone for a walk? How are we going to do it? When are we doing it? Where are we? Is there sufficient space for both people to move freely? Are there any potential hazards? Once you are ready to move the other person, it is important to place as little strain on your body (and theirs) as possible. This will greatly reduce the risk of injuries. Joseph (76) has had a stroke, resulting in weakness on his left side. He is sitting in his wheelchair and needs to move to another chair for dinner. Joseph can stand with difficulty, and needs support to get from A to B. His wife Anne is going to give him a hand with his transfer. Load (other person) Joseph has left-sided weakness but is fully able to communicate. He is slightly overweight and of average height. Joseph uses a walking frame for transfers to reduce his risk of falling. Individual (you) Anne had training on the rehab ward before Joseph left hospital about how to help him with transfers. Both are keen to maintain Joseph’s transfer skills so he can remain as independent as possible, and not rely on a wheelchair. The task A transfer from chair to chair using a walking frame. Anne has learned to position the chair and wheelchair at 90 degree angles to each other, with the chair on Joseph’s right so he can ‘transfer over’ with his stronger leg. Joseph will stand up, take weight on his frame, turn 90 degrees, then sit down in the chair. Joseph and Anne have a fairly small dining room. Since Joseph returned home from the rehab ward they have decluttered their dining space and removed a cabinet so there is enough room for safe transfers. ACC calls these the LITE principles. LITE is an acronym for Load (other person), Individual (you), Task (what’s to be done) and Environment (where you are). Easy to remember! Anne and Joseph are both wearing sensible nonslip footwear (stilettos are best left for other occasions! ), can move freely in the clothes they are wearing, and have Joseph’s walking frame ready for a smooth transfer. Anne is standing next to Joseph on his left side. They say ‘ready, steady, stand’, and at that point Joseph pushes himself up with his hands. Anne faces the same direction as Joseph and guides the movement with her right hand on his lower back and her left hand on his left shoulder. As Joseph stands up, Anne’s weight shifts from her back leg to her front leg to avoid putting strain on her spine. Anne stays very close to Joseph so she doesn’t need to reach. Once Joseph is standing up he is stable, so he takes small steps to turn 90 degrees to his right while Anne moves next to the right arm rest of the dining chair to help guide Joseph down to a sitting position. Anne can’t remain in her previous position, as Joseph would be too far away from her to transfer safely. When Joseph has turned 90 degrees he takes a step back until he feels the chair behind him, reaches back to the arm rest with one hand, then the other, and sits down. For the following I will quote ACC’s New Zealand Patient Handling Guidelines, as this is an excellent resource written to be understood by a wide audience. Stand in a stable position. Your feet should be shoulder distance apart, with one leg slightly forward to help you balance. You may need to move your feet to maintain a stable posture. Avoid twisting. Make sure your shoulders and pelvis stay in line with each other. Bend your knees slightly, but maintain your natural spinal curve – avoid stooping by bending slightly at the hips (bottom out). Keep your elbows tucked in and avoid reaching (the further away from the body the load is, the greater the potential for harm). Tighten your abdominal muscles to support your spine. Keep your head raised, with your chin tucked in during the movement. Move smoothly throughout the technique and avoid fixed holds. Each day you may be making numerous transfers. Those carried out in bathrooms and toilets can be especially difficult, since these are often small spaces and fixtures can’t be moved. Equipment to make moving and handling easier in these spaces include small items like raised toilet seats or bath boards, or large equipment such as standing and sling hoists. These are the domain of the occupational therapist (OT), who can assess your needs and recommend equipment to make transfers safer and easier. Physiotherapists can give advice about improving strength, balance, flexibility, and coordination. I have great respect for all of you who are supporting others 24/7 at home. 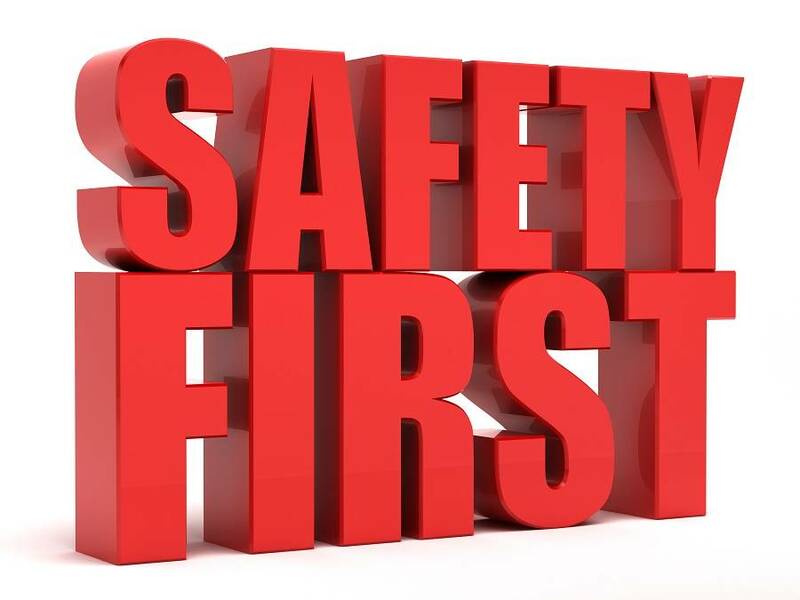 If you are unsure about how to safely carry out transfers, and want to know how to prevent handling injuries at home, consider getting advice from an OT and/or physiotherapist. Both professionals can help with correct techniques. Ellen van Dijken is a busy Mum, public health physiotherapist, and regular ActiveWellness columnist.